What makes Avida Home Care different? In Spanish “vida” means life. We care about One Life at a time. Yes. There are a lot of home-care agencies and yes; we all supposedly do the same thing. However, Avida Home Care is not like any other agency. First, let’s start with what we are not. We are not a franchise and therefore not pressured to service a huge amount of clients in order to pay royalties to a third party. We do not hire independent contractors. We do not hire any but the best caregivers. We hire only the most qualified care providers. They may be in their 50’s or their 20’s and may have vastly different backgrounds. However, all our care providers have the same dedication to our clients. They care. They are full time employees who accrue vacation and sick time. They are well paid and highly respected as our representatives in the field. After all, caring about our caregivers provides better care for our clients. You may be surprised by the fact that some of our caregivers have called us wanting to work for Avida. They were inspired by the tone of our website. They were attracted to the accessibility of our President Raul. 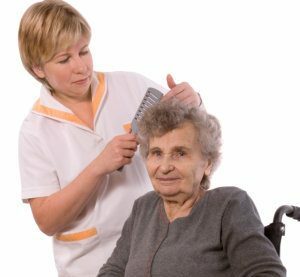 They felt the sincerity and great sense of responsibility of Avida Home Care. Our first and foremost priority is QUALITY, not quantity. We are a family operated company and are not interested in numbers of clients. Rather, we provide the highest quality care to a small number of clients. Because we are such a hands-on agency, we may have to turn you down as a client. You may need to be put on a wait list. We are Avida: One life at a time. This entry was posted in Uncategorized and tagged care providers, quality, quality care, transparency, website. Bookmark the permalink.